For this years entertainment during lunch we will be playing some old military training videos plus some of our historic photo collection and maybe even have an old black and white pirate movie playing. Plus we will have historic photos of the dam construction for sale. 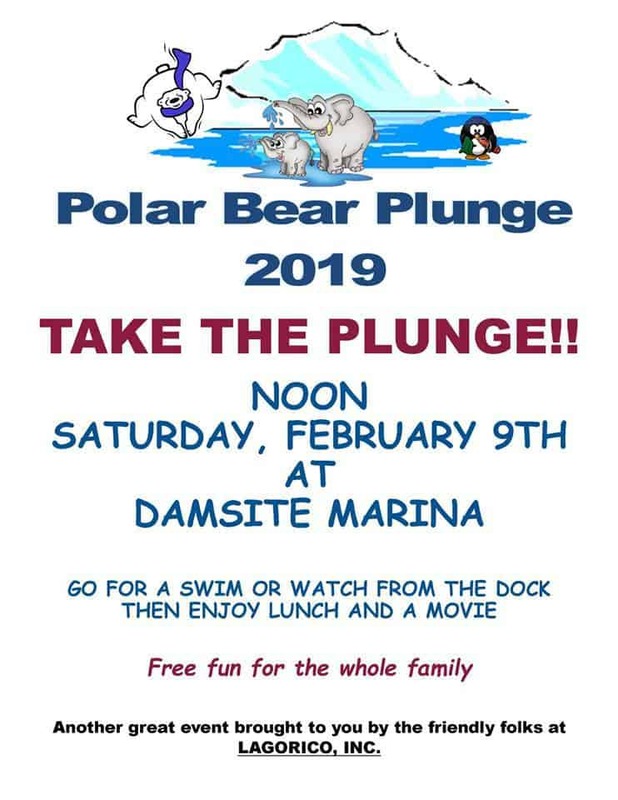 This event is a lot of fun even if you don’t take the plunge. The slide boat will be there for a chilly ride into the lake. We have plungers of all ages from 80 to 8. Come on out and join us the Saturday after the Superbowl. Another great event brought to you by the friendly folks at LAGORICO, INC.